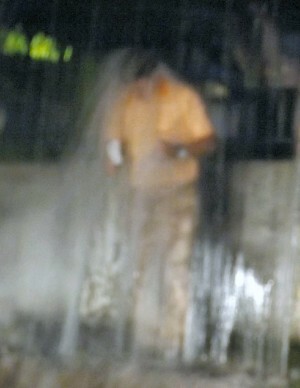 OSWEGO, NY – Councilor Bill Barlow got drenched following Monday night’s council committee meetings. It was all for a good cause as the freshman councilor from the Fifth Ward took the ALS Ice Bucket Challenge Monday night. 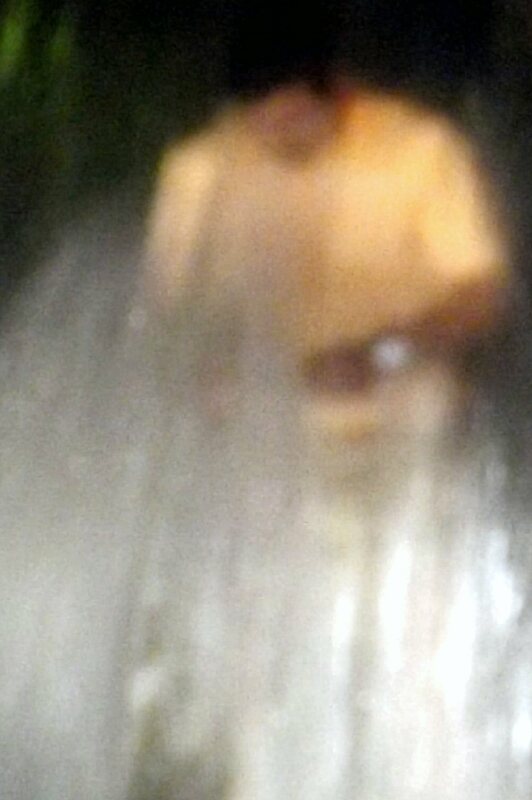 Oswego Councilor Bill Barlow is soaked under gallons of ice cold water during the ALS Bucket Challenge Monday night. Not just any old bucket would do for the hardy councilor. He opted for the bucket of a front end loader filled with gallons of frosty water and several bags of ice. He stood in the parking lot behind Pathfinder Bank as the cold water rained down on him from the west end of Canale Drive. “That took my breath away! It was colder than I expected – a lot colder!” Barlow exclaimed after he was doused. The Bucket Challenge is to raise funds and awareness to help fight against ALS, the councilor explained. The Ice Bucket Challenge, sometimes called the ALS Ice Bucket Challenge, is an activity involving dumping a bucket of ice water on one’s head or donating to the ALS Association in the United States. It went viral throughout social media during the summer of 2014. The challenge dares nominated participants to have a bucket of ice water poured on their head. One common stipulation gives 24 hours from the time they are nominated to complete the dare; otherwise, the participant is asked to donate money to charity. The people who nominated Barlow each donated $100 to the cause and Barlow also added $100 to the pot. There was no word Monday night on whether either the mayor or council president officially accepted the challenge. “I think they might have something bigger planned,” Barlow said.